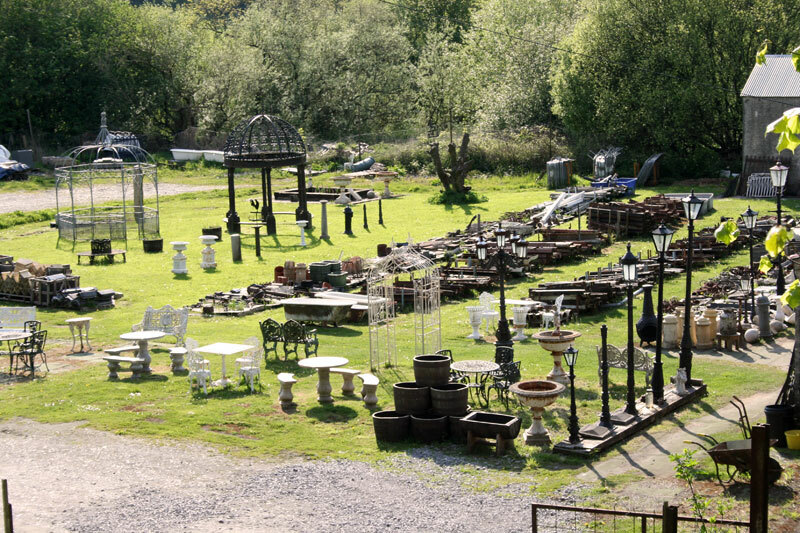 If you're looking for a unique piece of garden furniture, an iron fireplace, patio slabs or chimney pots, Kilkenny Architectural Salvage & Antiques always have an astonishing array of antique and salvaged materials available on site. 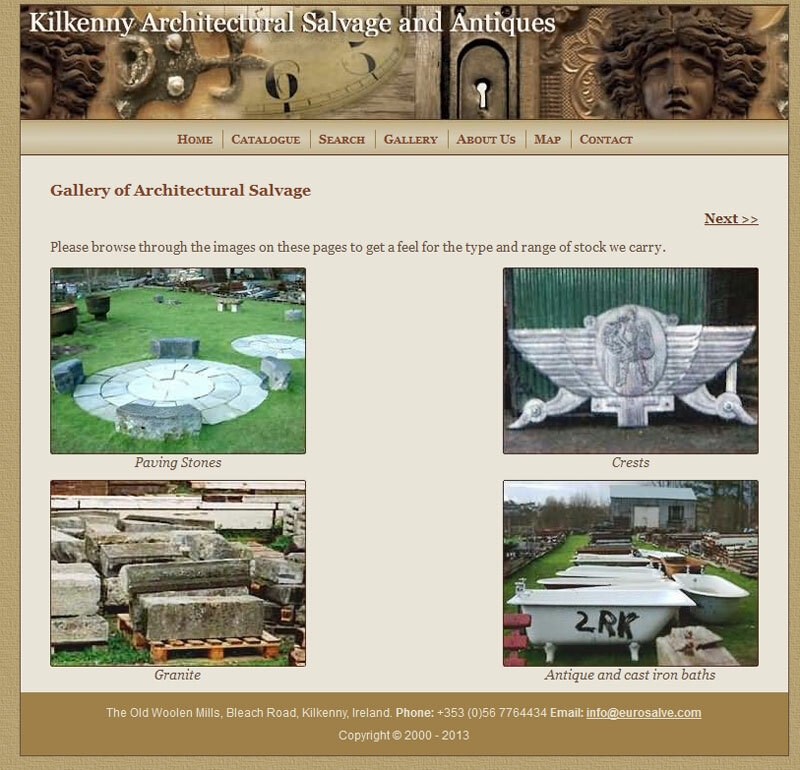 We are located on the north side of Kilkenny on the Bleach Road, occupying old woolen mills built in the 1800s. At the time one of the largest employers in the area, the site covers a massive 90,000 square feet, and has more than a mile of river frontage onto the Nore. Proprietor Robin Maharaj provides a happy hunting ground for builders and contractors, as well as many private individuals looking to add that authentic touch to restored properties and developments. 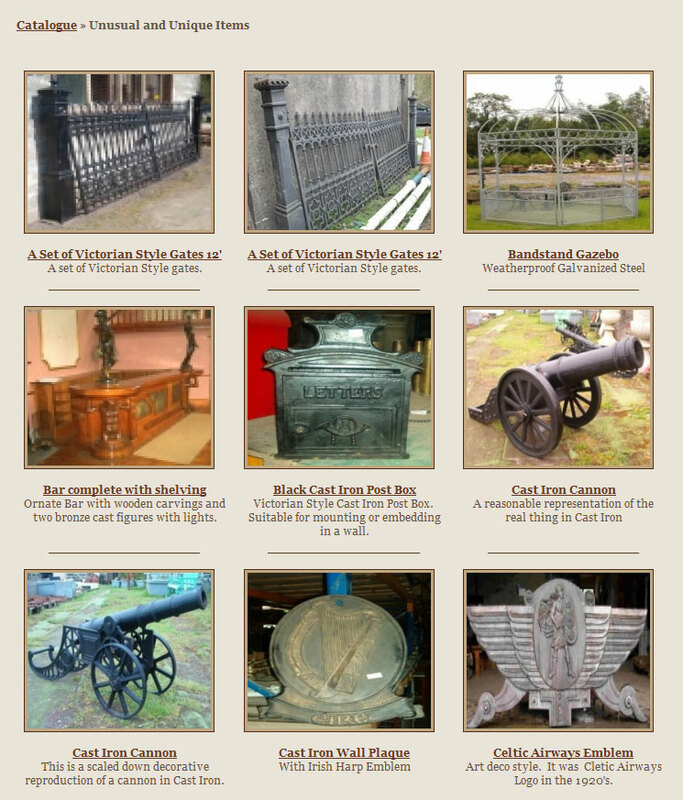 A strong working relationship exists between the company and Dúchas, (the Irish National Trust), which regularly uses the yard as a source for antiques and materials. 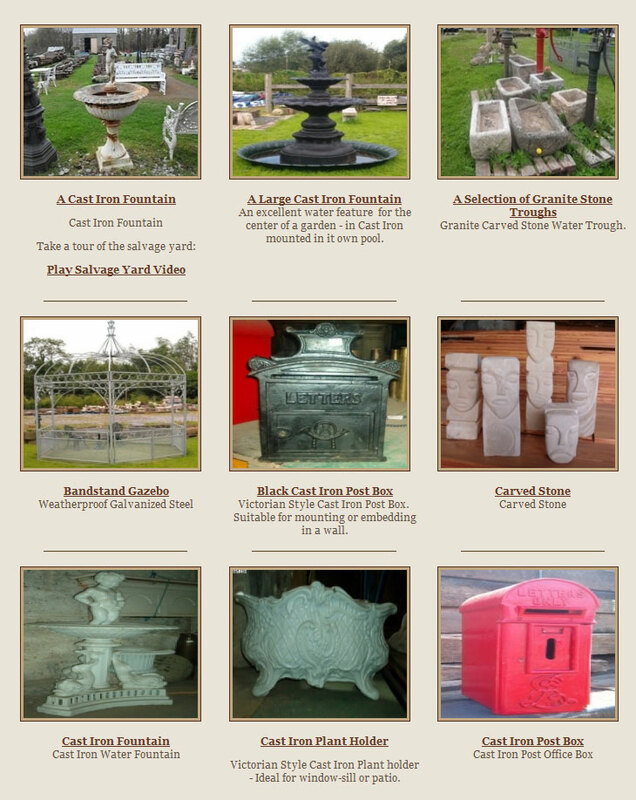 Whatever your requirements, Robin is confident he can supply the right piece for the project. 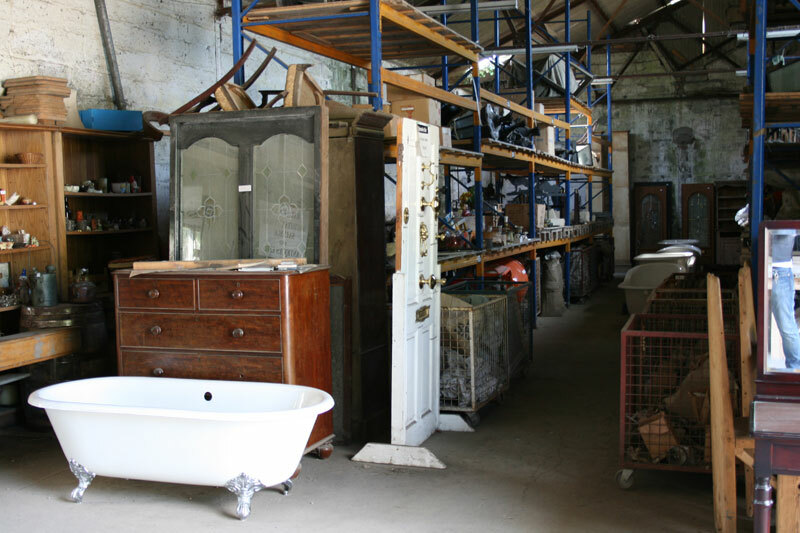 Most items in stock have been collected from the Republic of Ireland, some are from England with the odd item from Europe. 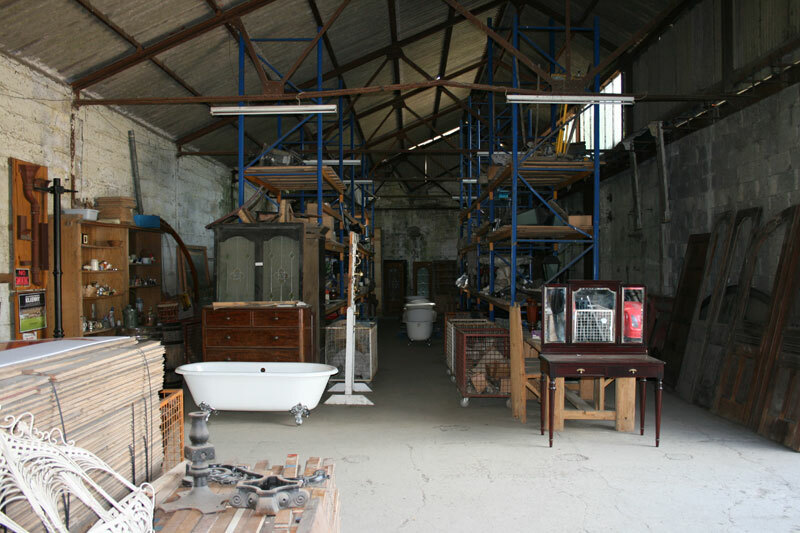 In addition to the salvaged pieces, there's always a wide selection of interesting antiques on display.